Grand Mesa Observatory was born from the idea that in today's age of technology and connectivity, dark skies should be easily accessible for all. 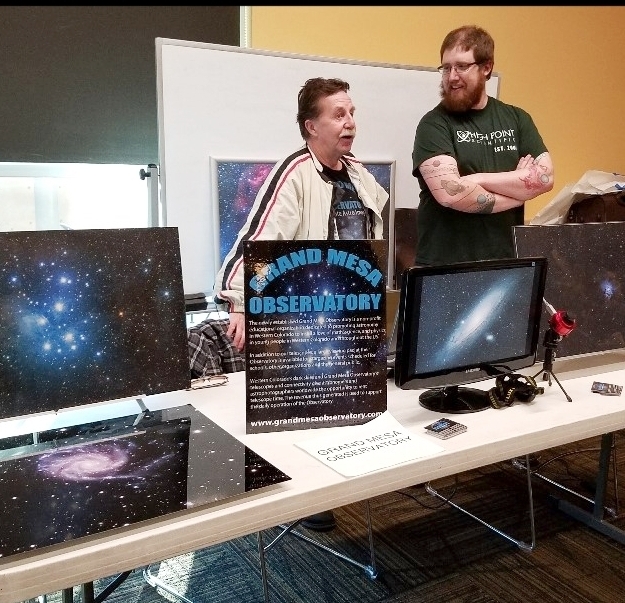 From private imagers looking to do remote astrophotography to school groups that may want to try their hand at some basic research work, here at GMO we aim to provide the facilities and expertise needed for a truly wide array of services. Additionally, because we are a 501(c)3 nonprofit education facility, all income will be used for operational expenses along with our outreach and educational efforts. The majority of our equipment is available for private rentals in the form of “CUSTOM DATA SETS”. Check out our Equipment Rental page for available setups and more information, or feel free to CONTACT US if you have any questions on our policies. All data sets include calibration files, and everything can be booked directly from the website. For those who may not want the hassle of running an entire imaging session themselves, we offer a convenient subscription plan that will provide data sets for 2 objects per month from each individual setup. These data sets will be delivered ready for post-processing, with all necessary calibration frames included and editing rights belonging to each individual subscriber. No operator's certification is required, and subscription plans can be cancelled at any time. In addition to fee-for-service rentals, the Grand Mesa Observatory will also be looking to partner with educational institutions of all sizes. If you or someone you know is affiliated with a science department, school club, or specific classroom that could benefit from our facilities then please let us know through the CONTACT US form. Our partnerships with the local community are a cornerstone of the Grand Mesa Observatory's nonprofit mission. We are closely involved with the local school district, university, astronomy club and nonprofit community based here in Western Colorado. Our facility hosts a 2500-square-foot cement observing platform with electric outlets, red-illumination, and on-site parking.